All superfluous elements have been removed. And thanks to Skyactiv-X technology, the new Mazda is supposed to be even more efficient and responsive. 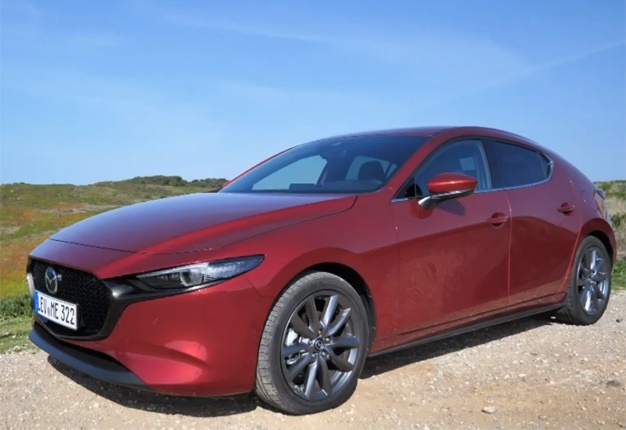 The all-new Mazda3 made its world premier earlier in November at the 2018 Los Angeles Auto Show. The fully redesigned model will be rolled out to global markets in early 2019. The Southern Africa market can expect the new model during the third quarter 2019, says the local automaker. We're driving the current Mazda 3 this week which was updated locally in 2016, despite the arrival of the new model later this year. The model range had been enhanced with the addition of the 2.0-litre Astina Plus, and it's available in four-door and five-door. It comes with advanced safety features like smart city brake support, adaptive LED headlights, lane keep assist, lane-departure warning, driver attention alert and blind sport monitoring. The interior includes Bluetooth for entry models, standard cruise control for Individual-specced models and the introduction of auto shift switch (paddle-shifts) for units equipped with a six-speed auto. Other niceties include a reverse camera, integrated navigation, an active driving display, dual-zone climate control, an 8-way Power Adjusting Seat (Driver Only), Blind Spot Monitoring, rear parking sensors (rear) and 18" alloys. One of the biggest highlights I enjoy in this car is the Bose sound system with nine speakers. It has such terrific sound quality and along with that smooth 6-speed auto gearbox, it makes being stuck in traffic an absolute blast.